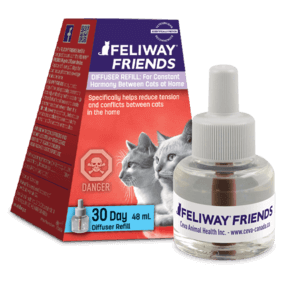 Use FELIWAY FRIENDS Refill every month to continue to create harmony in your home, and avoid tensions between your cats living together. 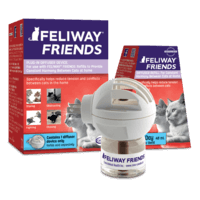 Helps your cats get along better at home. 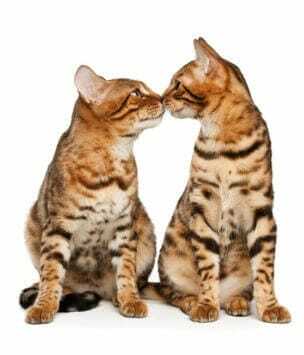 Continuous effect, ensures constant harmony. 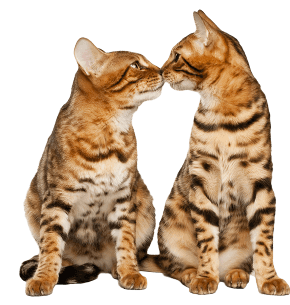 Clinically proven, Veterinary used and recommended. 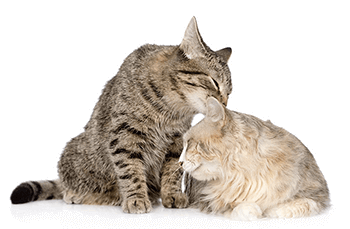 Leave the diffuser plugged in continuously to keep your cats in harmony. 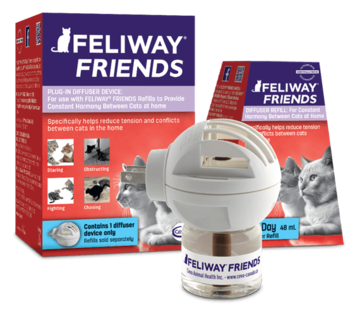 The one and only Diffuser you should use with FELIWAY FRIENDS Refill! 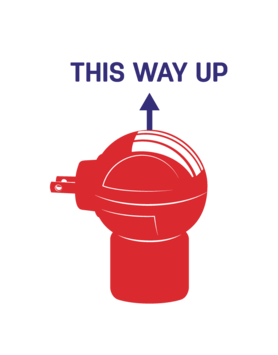 Replace your diffuser every 6 months. 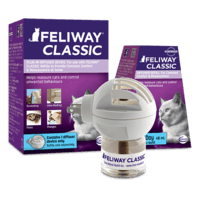 If conflicts between cats cause other signs like peeing or scratching, FELIWAY CLASSIC will help.